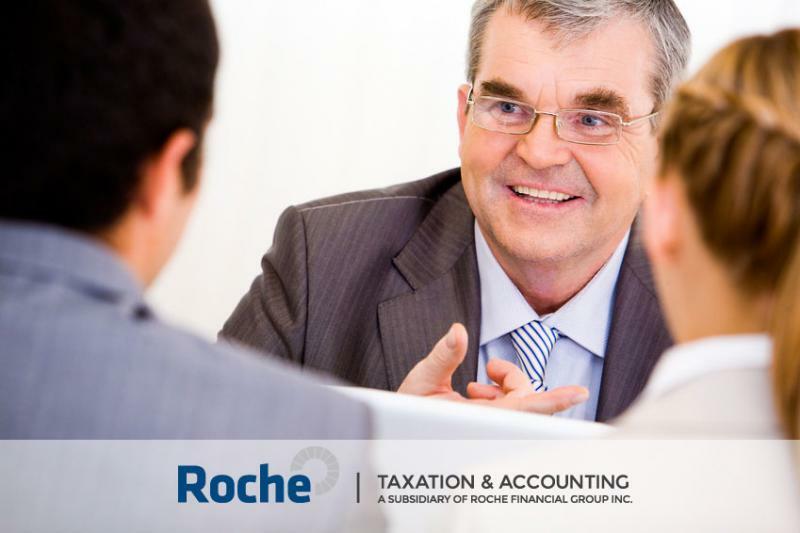 Roche Financial was founded in 1967 by Ron Roche, and for over 45 years has been providing exceptional taxation and accounting services to business, as well as private customers. In this interview with BeTheBoss.ca, Ron provides a glimpse into the history of the company and how it has evolved into a respected franchise-driven business with a totally integrated accounting and financial planning service offering. BeTheBoss.ca: Tell us about the Roche Financial Group Franchise concept. Ron Roche: The development of the Roche concept began in 1967. We marketed an accounting service patterned after a head office accounting department with a Controller on staff. It was well received by the market place. Clients ranged from individual tradesmen to manufacturing plants employing up to 100 people and covered the full range of business types. We added income tax services in the early 1970s, and expanded further into financial planning as mutual fund dealers and insurance brokers in 1996. We designed our own unique financial planning software that is integrated with our tax software. Since designing the financial planning software and expanding into investments and insurance, which added professional financial planners to our team, we have been experimenting with, and developing, a totally integrated accounting and financial planning service. This has been achieved. All professional financial planners are licensed, and are either CFPs or are enrolled in the program. They report to the Roche head office. They are assigned to work in specific franchised offices, operate under the Roche Financial group umbrella and comply with the same policies and procedures as the professional accountant franchisees. Interestingly, the accounting profession has recognized the need to do this in the past couple of years. We have been way ahead. We have tested various ways of doing it over the past 18 years and are pleased to be in a position where our business model has perfected the delivery of accounting and financial planning as one service through two professionals working for the same company. It is unique in the industry. BTB: How and when did you become involved with Roche Financial Group Franchise? RR: The company was founded in 1967 by Ron Roche. Ron completed a Business Administration and Canadian Business Law diploma course and is a fourth year honours undergraduate of the CGA program. Ron is a Certified Financial Planner and holds several other qualifications in the financial services industry. He is a member of the Independent Financial Brokers. Prior to founding the company, Ron worked as a bookkeeper for two small firms, the Chief Accountant for a manufacturing firm where he designed and installed a standard cost system that received accolades from a professional engineer who had set up plants for Polymer in North and South America. Ron worked as a Senior Financial Analyst for an international glass manufacturing company at its head office, responsible for the head office accounting and the preparation of monthly financial statements for 16 branch outlets across Canada. That is where Ron got the idea to launch the company. It would be impossible for an accountant or a financial planner to develop a professional practice, such as Roche, and if the two of them put their heads together even then it would be impossible because neither of them have an in-depth knowledge of the other's profession. The background of Roche is unique in that it includes years of accounting and taxation knowledge and experience, and as well, years of experience in the field of investments, insurance and financial planning. In addition, developing such a business model, staying abreast of new technology changes, the ever changing needs of the market place, and the new financial solutions manufactured by the financial and insurance industry, and understanding how to bring this together into a service that can be made available to the market place, requires a head office focused on that project. Read the full interview at BeTheBoss.ca.